Alessio Mereu is an artist from Sardinia, with a burning passion for music started as a child and grown up with years of piano lessons. Inspired by the strong friendship with other sardinian producers Renato Figoli and Matteo Spedicati, he later moved to electronic music production. His sound quickly achieved a very personal touch, elaborating his previous influences into his own style, definitely hypnotic, obsessive and full of groove. In less than a year he released a set of successful productions which attracted the attention of many key figures in the techno scene. His tracks are played by leading dj’s such as Adam Beyer, Paco Osuna, Richie Hawtin, Alex Under, The Advent, Alexi Delano, Xpansul and many others. 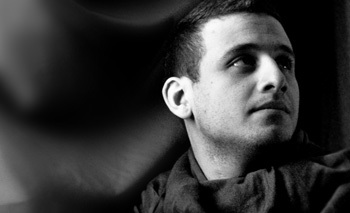 By the age of 20, Alessio fully dedicates himself to the music: his sound continues to evolve maintaining his own unique style and his productions have been released on various labels such as CMYK, Analytic Trail, Mindshake and many others. In 2007 the urge to experiment in first person the effect of his tracks on the dance floor led him to perform live, soon starting to tour throughout Italy and Europe. His live act reflect the style of his productions, dominating the dance floor with a refined yet powerful sound, and at the same time establishing a deep connection with the audience. In 2008 he founded the label Renovatio Records, as a platform for him and his closest friend to express their vision of dancefloor oriented music. During the 2009 he released a lot of EP’s within famous labels like Tuning spork, Contexterrior, Cmyk, Toys for Boys, True Type Tracks and co-founded the label T-bet with Acirne plus the project Bunkers with Sig. Andreoni. His live perfomance is a mix of groovy rythms and contemporany sound to rock the dancefloor.